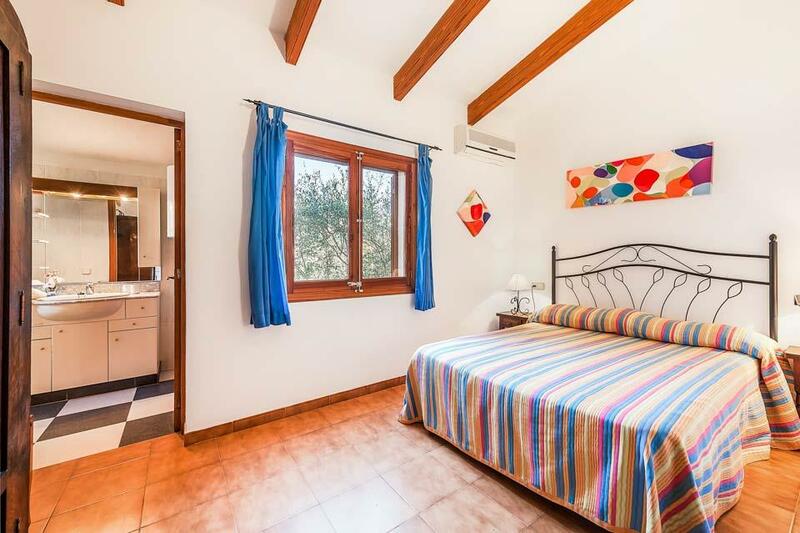 Think Traditional, stone cladded walls, off the beaten track and complete tranquility, Welcome to Ca Nostra. 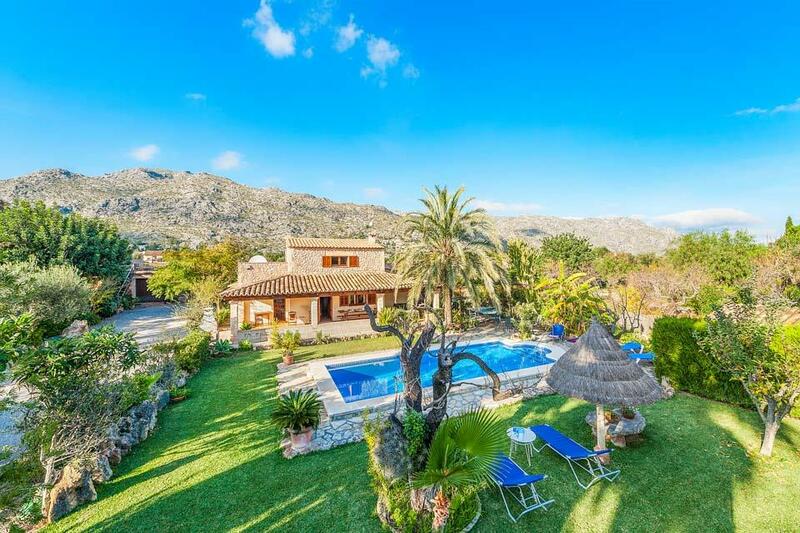 Located in La Font area, just north of the traditional town of Pollensa, this pretty finca is the perfect place to escape the daily grind for a week or two. 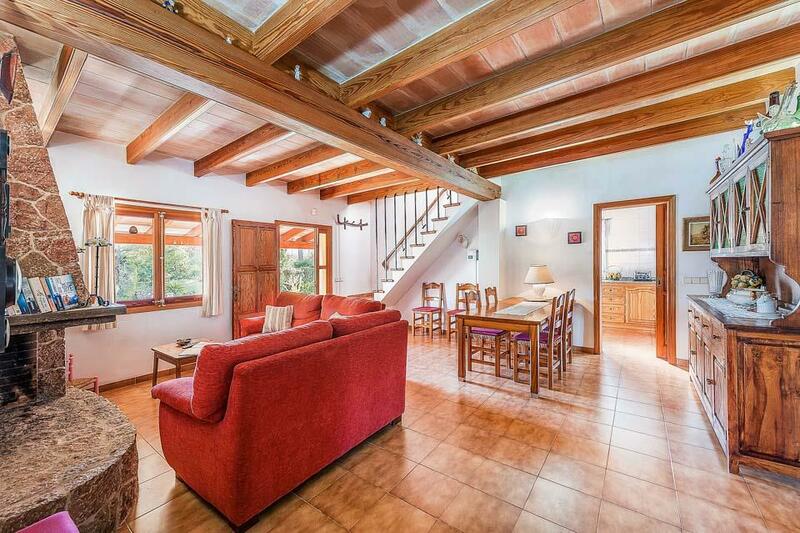 As you enter, you will find an open plan lounge with wooden beamed ceilings and traditional furniture. 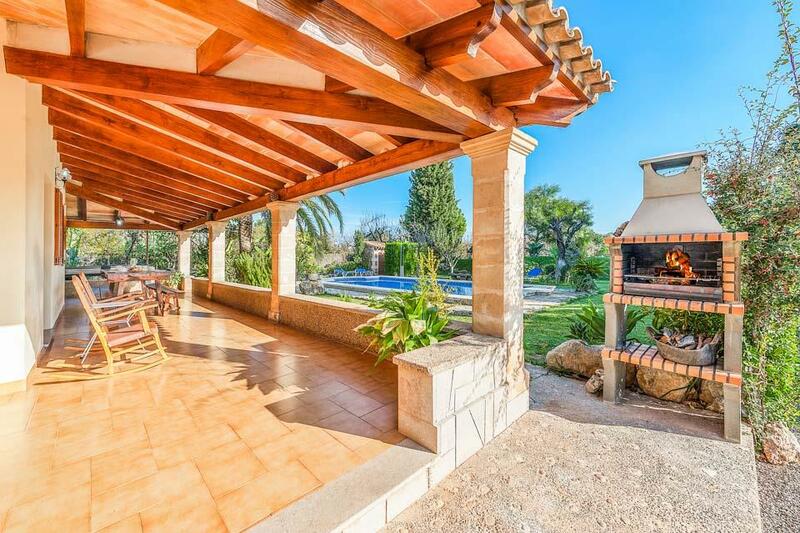 The lounge is luminous with patio doors leading out onto the terrace where you will find a farmhouse style dining area, perfect for those long summer evenings where you have the option to dine al fresco with the villa’s brick BBQ on offer. 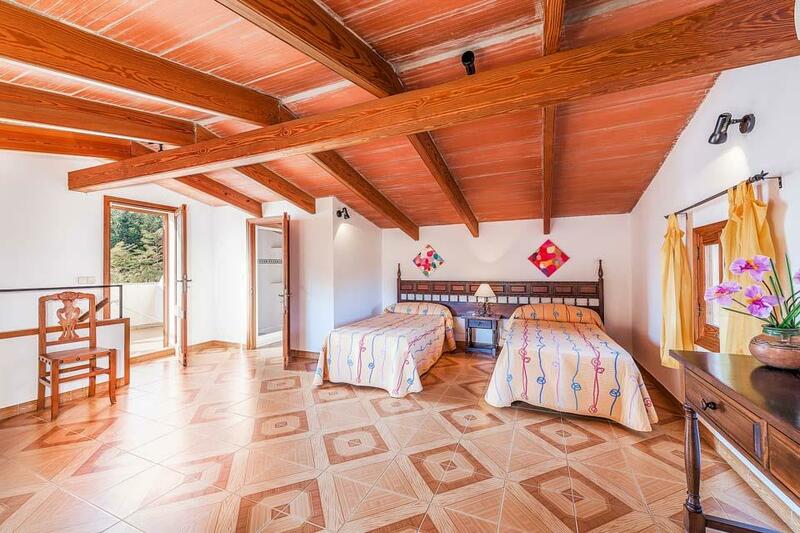 This property sleeps up to eight people, with four bedrooms and three bathrooms spread over two floors. 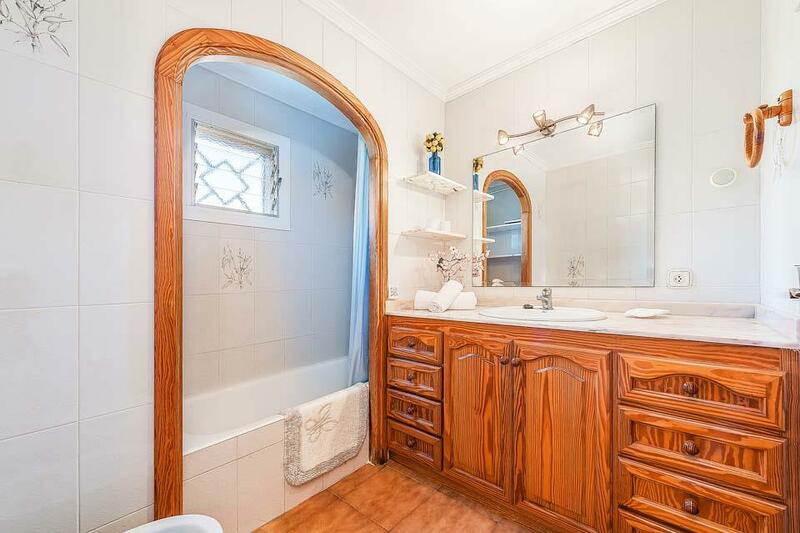 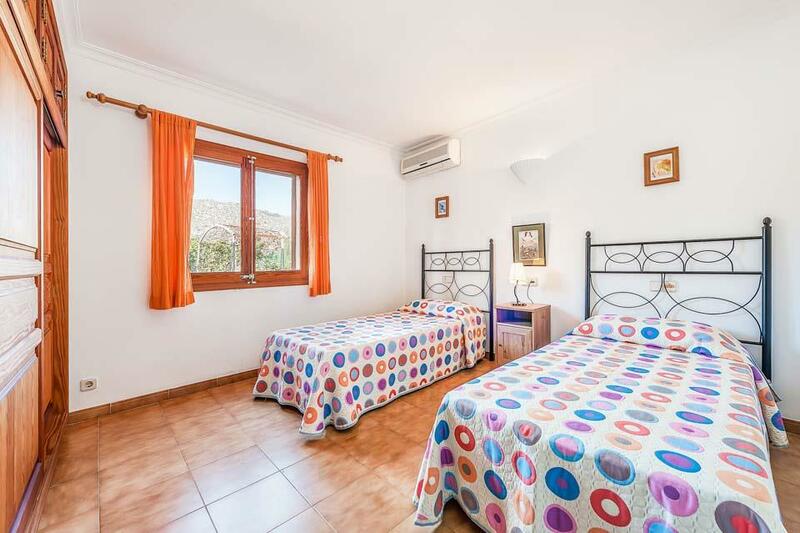 Two of the twin bedrooms are on the ground floor and share a large bathroom, on the same floor there is also the double bedroom (with an ensuite bathroom) all of the bedrooms include air conditioning which is much appreciated on those long summer nights. 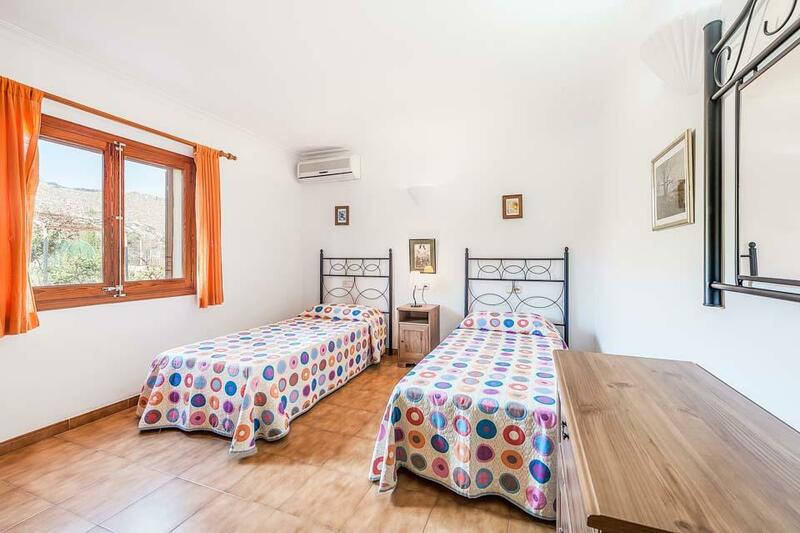 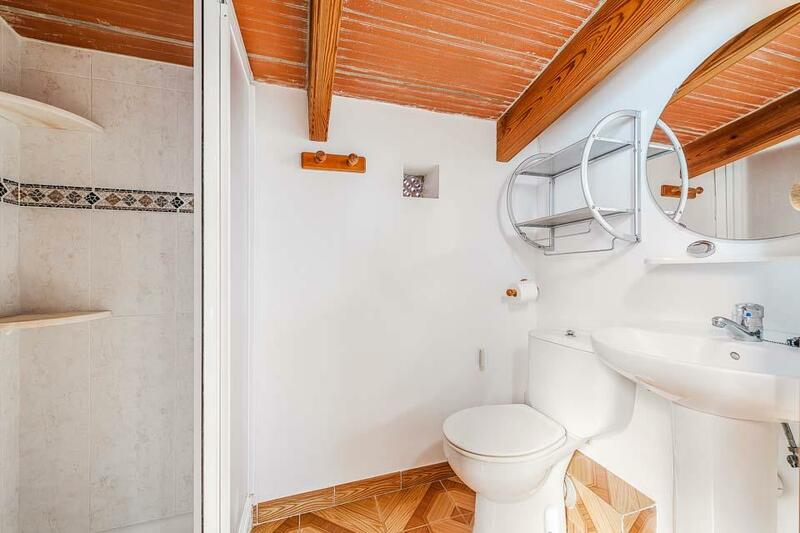 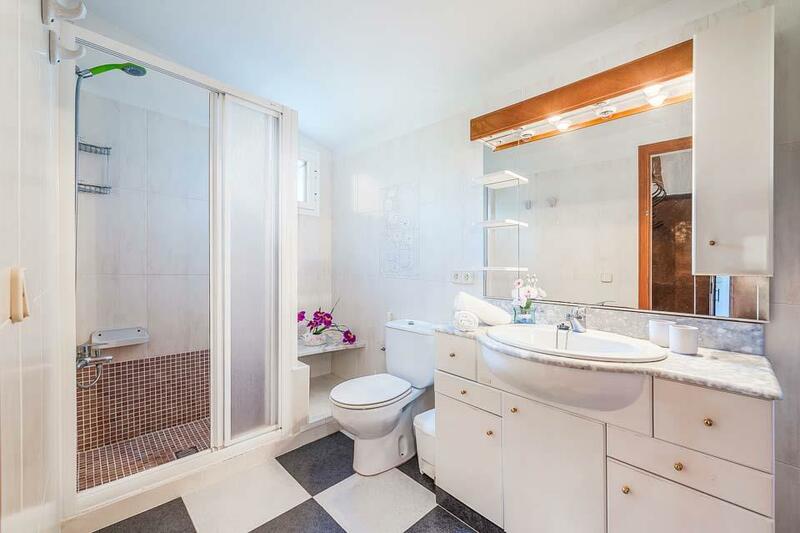 The final twin bedroom is located on the top floor and is a quirky loft conversion, it also comes with an ensuite shower room and own terrace offering stunning views towards Pollensa. 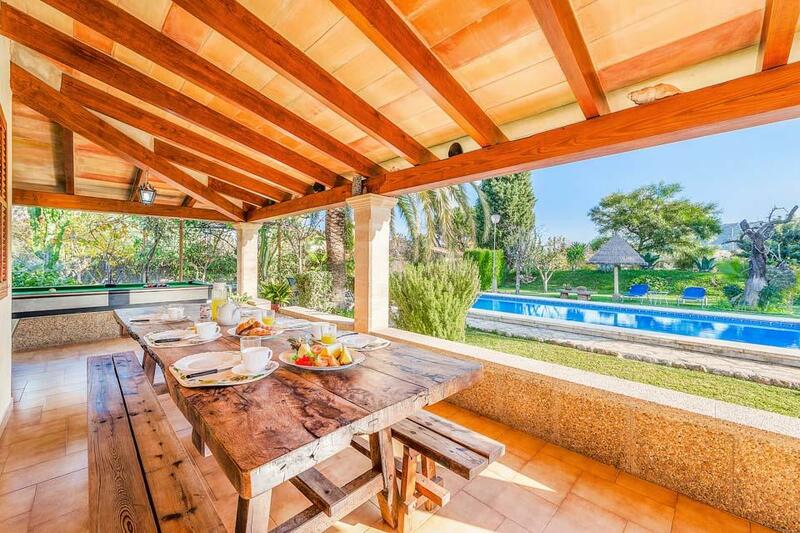 As the sun comes up, step outside and dip your toe into your own private pool, a great place for spending hours of fun with your nearest and dearest. 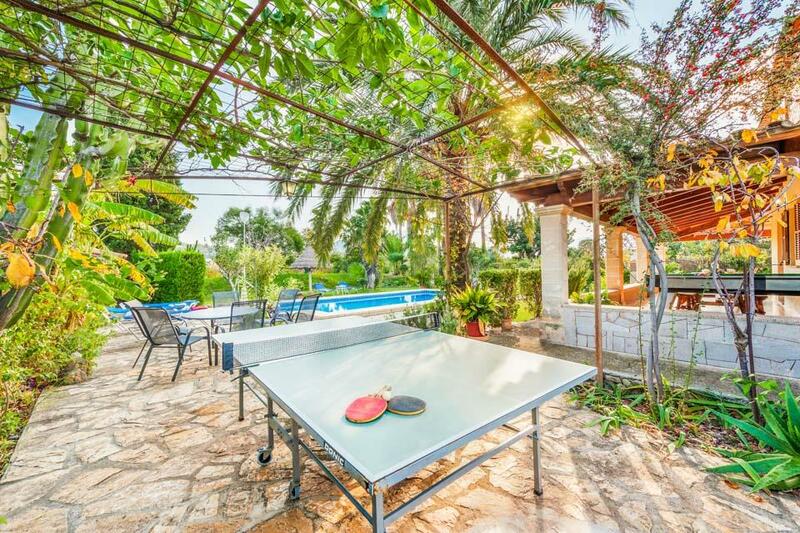 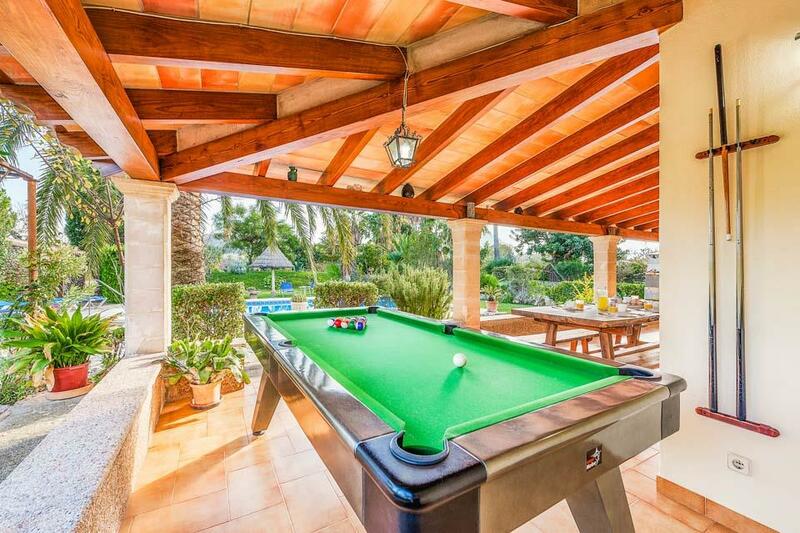 There is also a ping pong table, great for keeping everyone entertained! 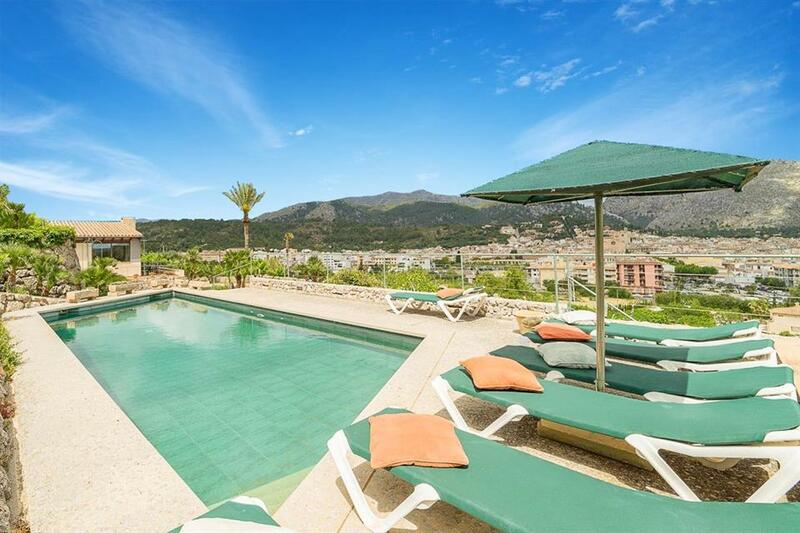 The gardens are dotted with shrubs and trees as well as being surrounded by bushes that ensure your privacy from the rest of the world. 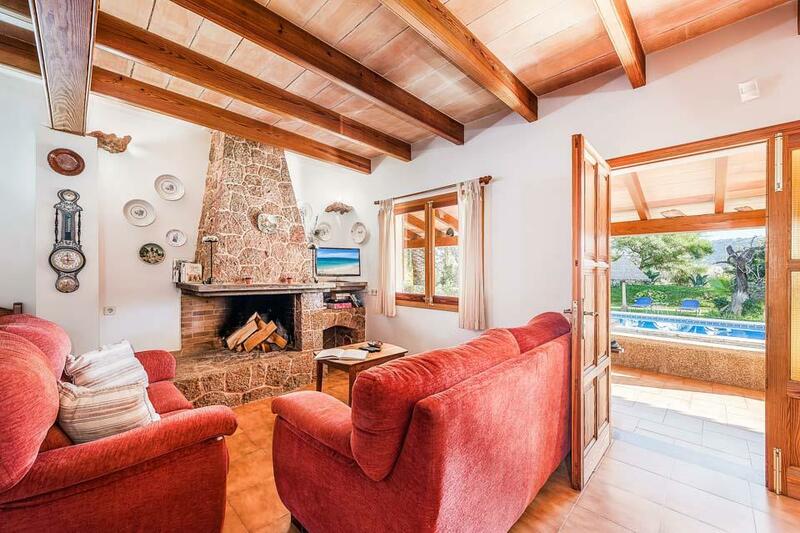 Should you want to drag yourself away from this relaxing retreat, why not head into Pollensa where you can find a coffee spot and watch the world go by. 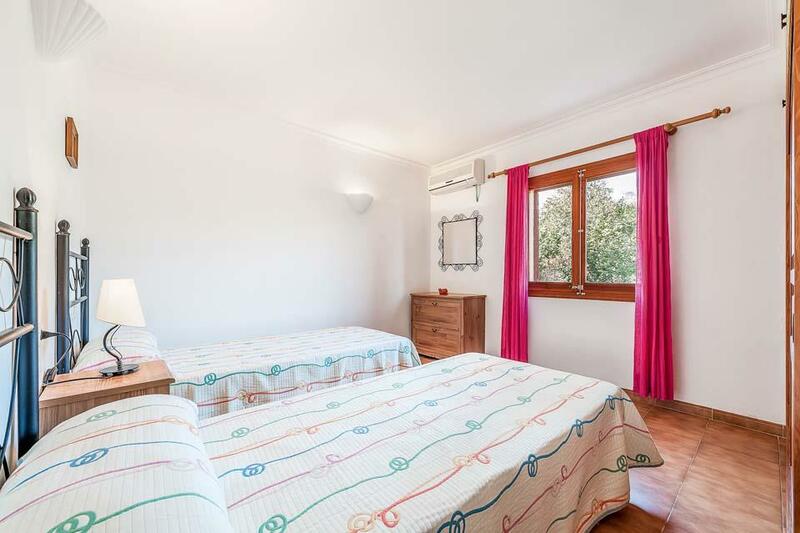 With its elevated position on the side of the Puig Maria mountain, Ca Na Copea affords stunning views over the local Mallorcan countryside and the charming Old Town of Pollensa, which twinkles at night creating a wonderful backdrop for relaxed evenings.. 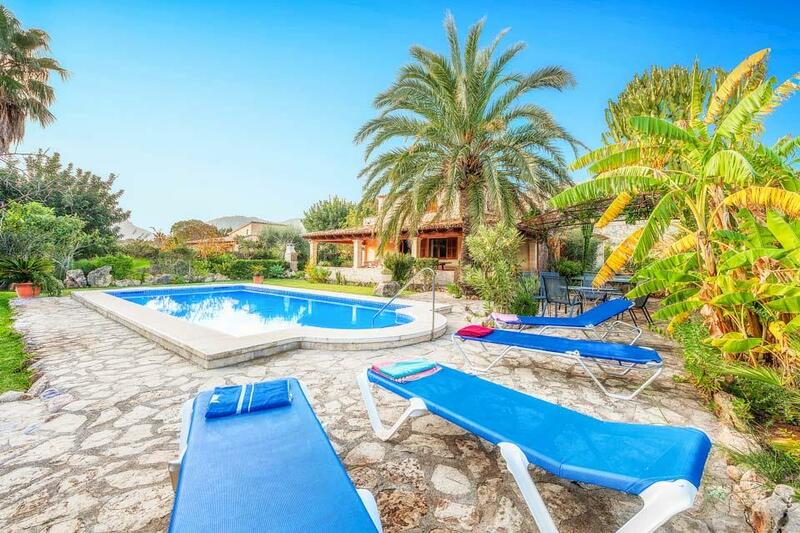 If you’re planning a sunny holiday with extended family or friends then Can Curt is an excellent choice. 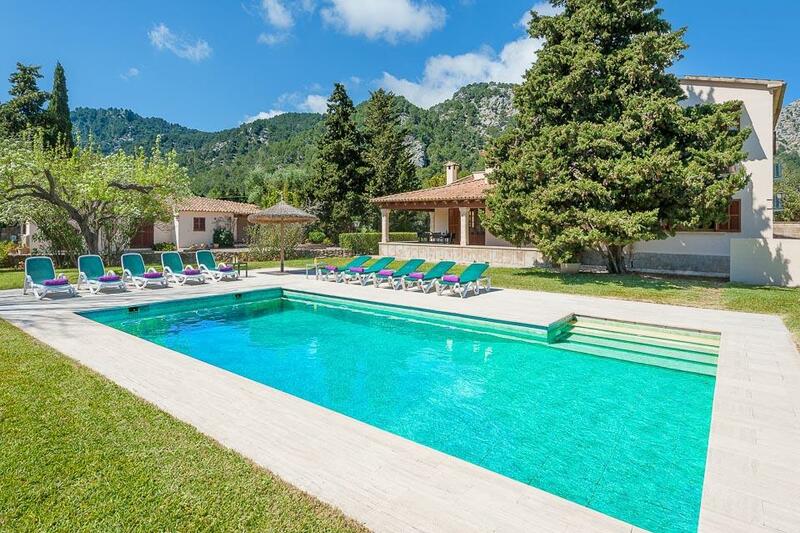 With four bedrooms, capable of accommodating up to eight guests, it’s a beautiful villa in the Mallorcan countryside. 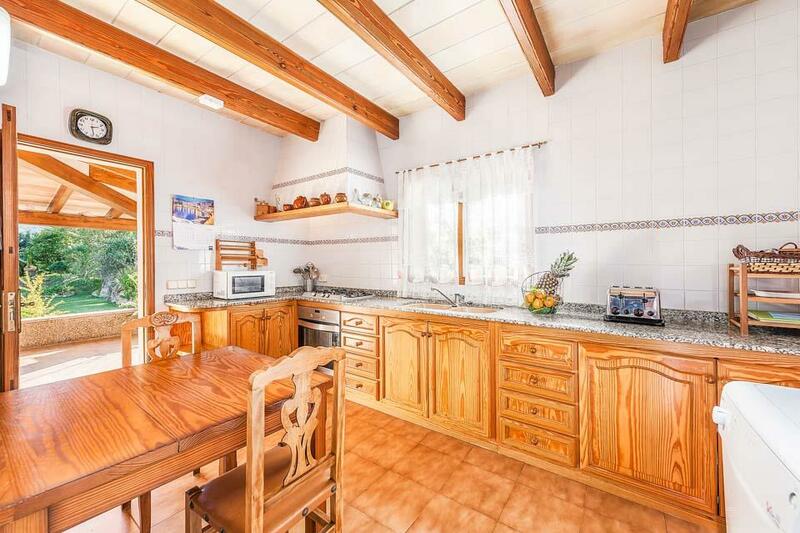 The architecture is traditionally..